These are strung rooster neck hackles taken form the base of the Tail. 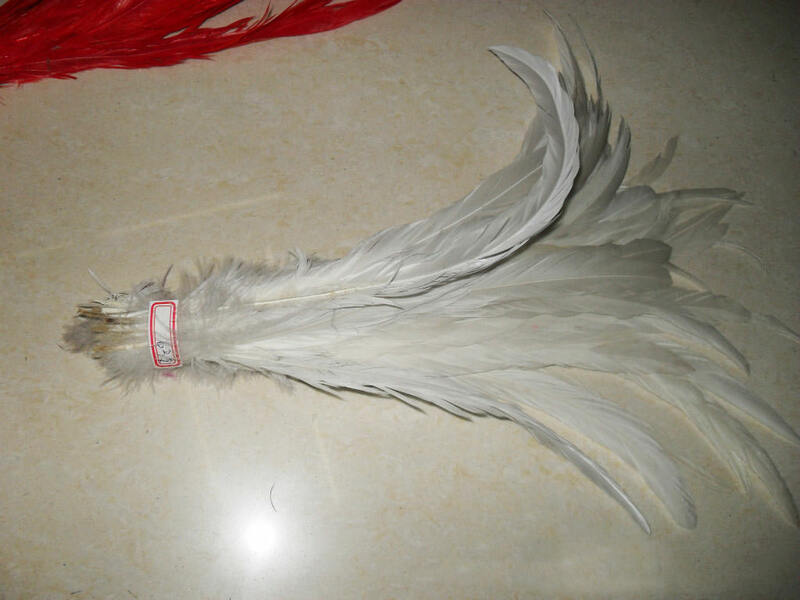 This item consists of 50+ Nature white or Dyed color Coque Tail Feathers. These feathers have a stiff quill. Feathers will range on length from 6 to 8 inches!!! The feathers in the picture are a good representation of size, color and quality. Coque feathers are used to crafts, jewelry and fly tying!! !